After some humming and hawing Matt and I decided not to include the words as part of the CD packaging. However the booklet is available as a free download on the Pollard & Kenny site. 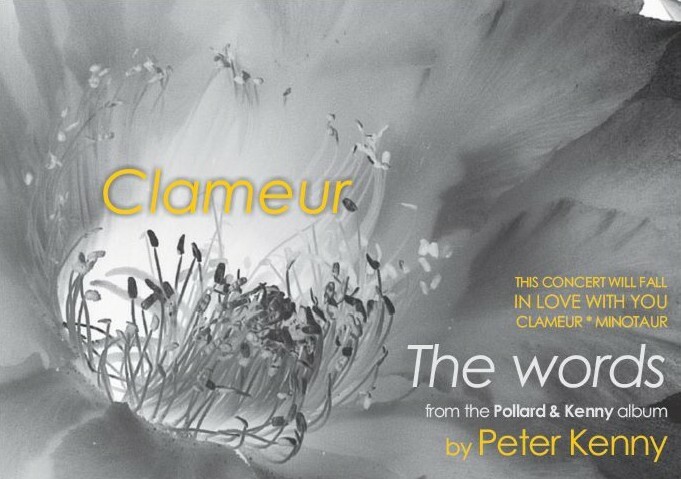 It contains all the words for This Concert Will Fall In Love With You, Clameur and Minotaur. This entry was posted in Uncategorized and tagged Clameur, Minotaur, Pollard and Kenny, This concert will fall in love with you. Bookmark the permalink. Good luck. Sounds like things are going well for you.. Thanks Marilyn. Hope this year is going well for you too.